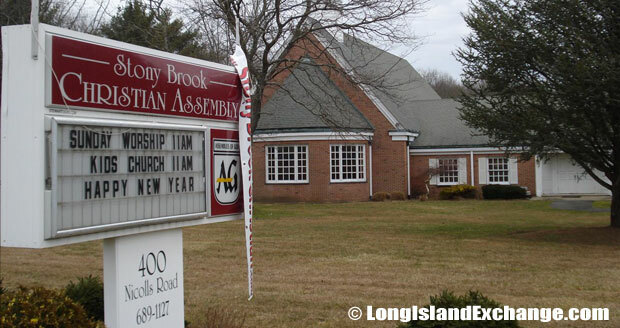 Stony Brook is a hamlet and census-designated place located in Suffolk County in the town of Brookhaven, Long Island, New York. As of 2010 census, there were 13,740 people, 4,813 households and 3,775 families residing in the CDP. The median income for a household in the CDP was $123,250 and the median income for a family was $138,897. Males had a median income of $91,641 and just $68,919 for females. 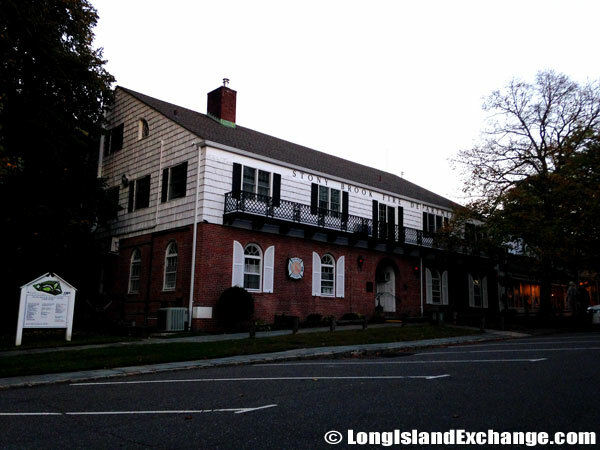 The history of Stony Brook has been closely linked to that of Ward Melville, a local businessman who at one point owned most of what is now called the “Three Villages” such as Stony Brook, the hamlet of Setauket, and the incorporated village of Old Field. 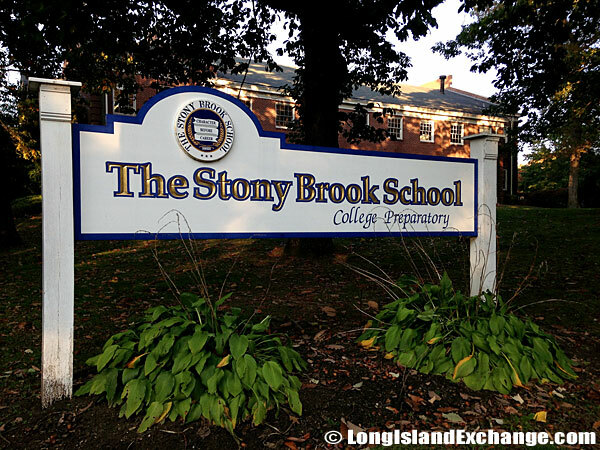 The Stony Brook School (SBS) is a private independent Christian college preparatory, co-educational boarding and day school for grades 7-12. Stony Brook University Hospital, previously known as Stony Brook University Medical Center. 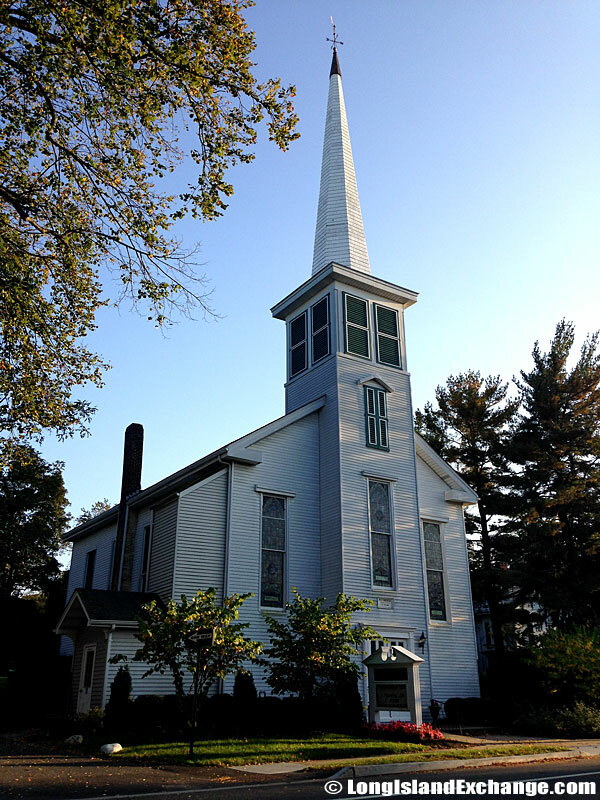 The Stony Brook Community Church. 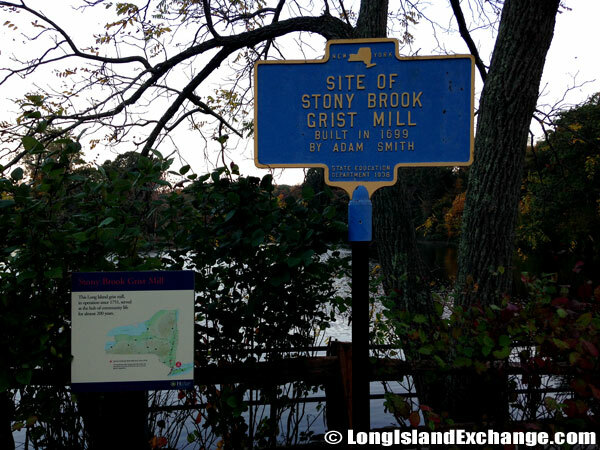 Historical marker for the Stony Brook Grist Mill and Museum, listed on the National Register of Historic Places. The Three Village Central School District serves all three communities. 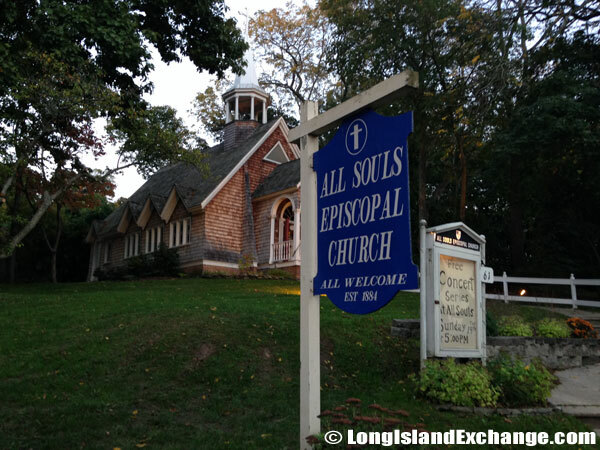 The community’s centerpiece, its historic district north of Route 25A known as Old Stony Brook displays an old-fashioned crescent-shaped village center with views of Stony Brook Harbor and winding pathways dotted with old-fashioned street lamps. 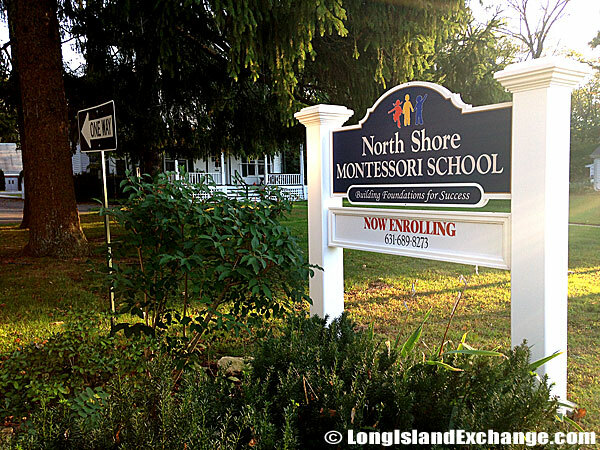 North Shore Montessori School, a private school for Nursery, Preschool Kindergarten children. 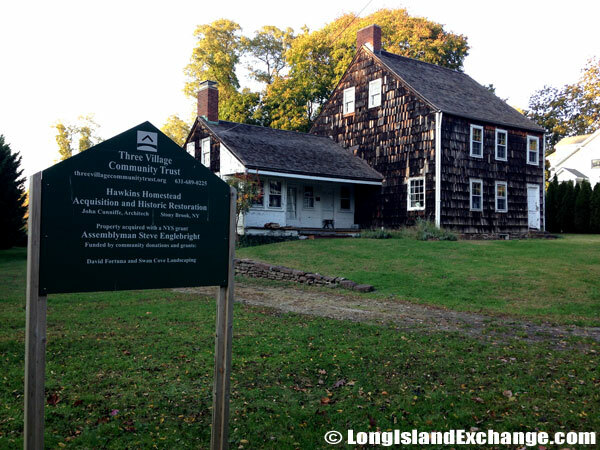 The Zachariah Hawkins Homestead, a historic home in Stony Brook which the Three Village Community Trust plans to restore. 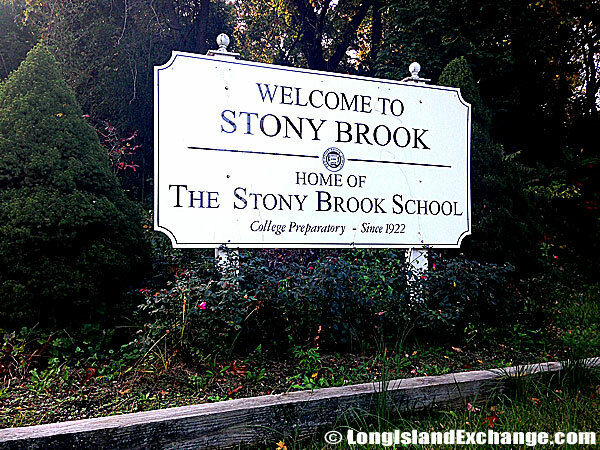 The Stony Brook School is a Christian, co-ed, college preparatory boarding and day school. 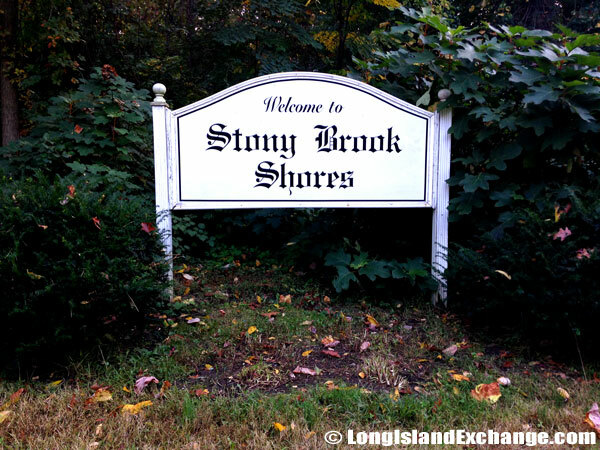 The Stony Brook Shores Beach Community welcomes visitors and residents with this sign, welcome to Stony Brook Shores, at the corner of Christian Avenue and Woodfield Road. 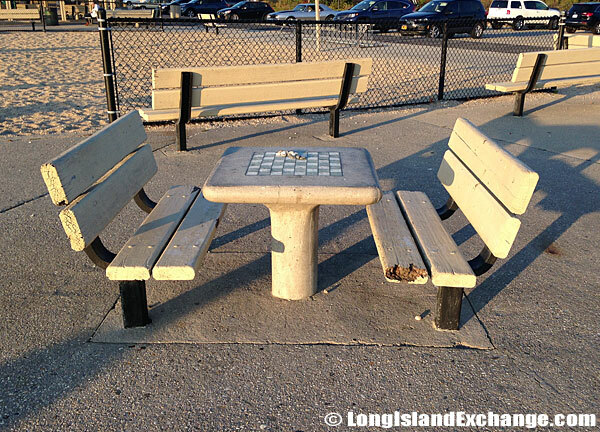 Chess and Checkers table inside West Meadow Beach; this area is called Joel L. Lefkowitz Park at West Meadow Beach. The schools of the town are generally considered to be above average. In fact, the Stony Brook University or the State University of New York at Stony Brook (SUNYSB) is a public research university and known to be one of the best schools in North America. It is the second highest ranked of the four university centers in the State University of New York system and has an enrollment of more than 22,000 students. The university was founded in 1957 as the State University College on Long Island with about 100 students enrolled. Stony Brook is the second highest ranked University Center in the 64-school SUNY system. In the recent US News and World Report, Stony Brook Computer Science graduate program has been ranked 34th, tied with Ohio State University, University of California–Santa Barbara, University of Chicago , University of Colorado–Boulder , and the University of Minnesota–Twin Cities. 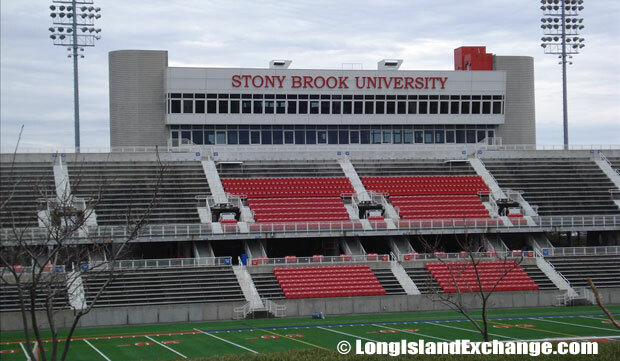 LaValle Stadium, the on-campus home of the Stony Brook Seawolves football team, seating capacity over 8,000. 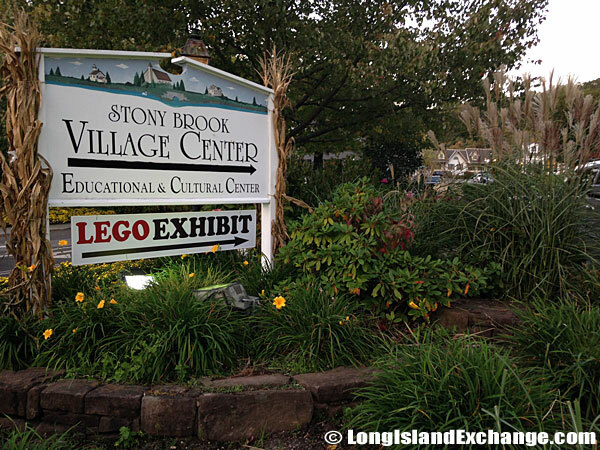 Stony Brook Village Center offers shopping, attractions, restaurants and more and is the village focal point at Main Street On the Harbor in Stony Brook. 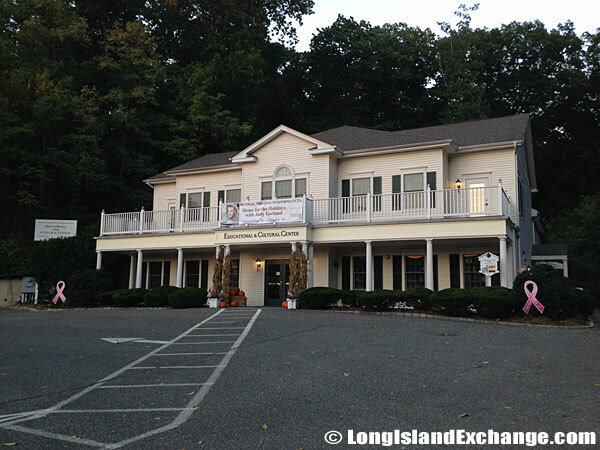 Located in the historic Stony Brook Village Center, The Ward Melville Heritage Organization’s new, 8,800 square-foot Educational and Cultural Center. 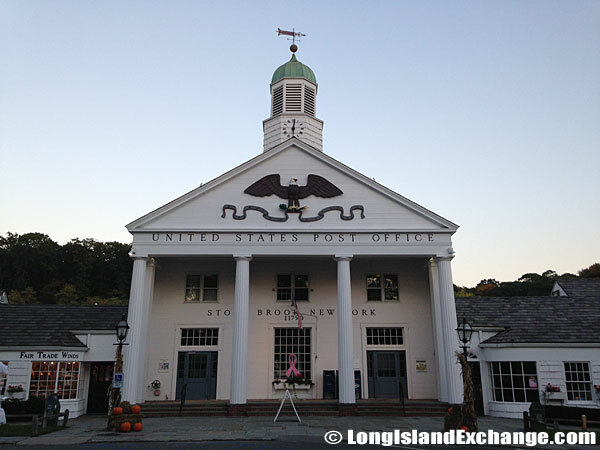 Post Office in Stony Brook Village. Aside from academic excellence, the town also has many attractions. 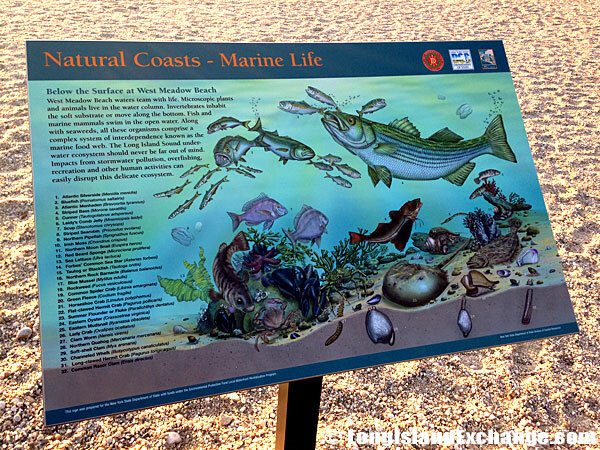 The Sand Street Beach, a duck pond, a historic grist mill (c. 1751), as well as the newly created Avalon Park which has a tremendous boardwalk, trails, landscaping, and year-round groundskeeper. 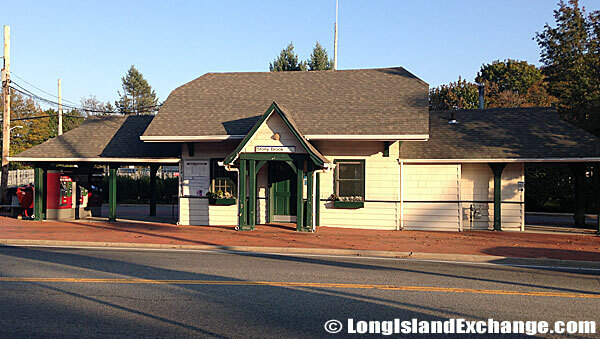 Long Island Rail Road commuter station in Stony Brook. The Stony Brook station is on the Port Jefferson line of the Long Island Rail Road. 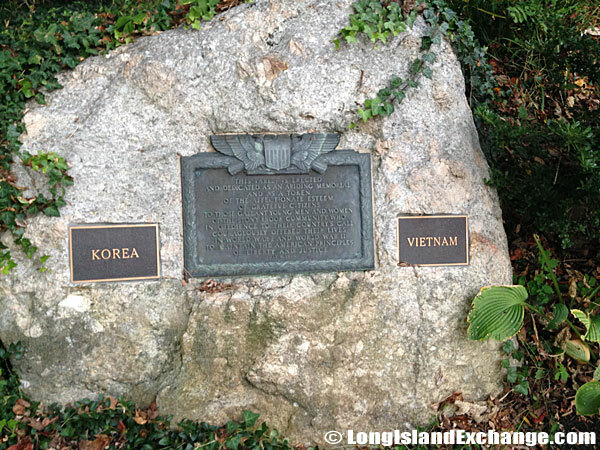 A memorial stone at Stony Brook Village Center, at the rear driveway to the Fire Department, commemorates the Vietnam War. The Stony Brook Fire Department. 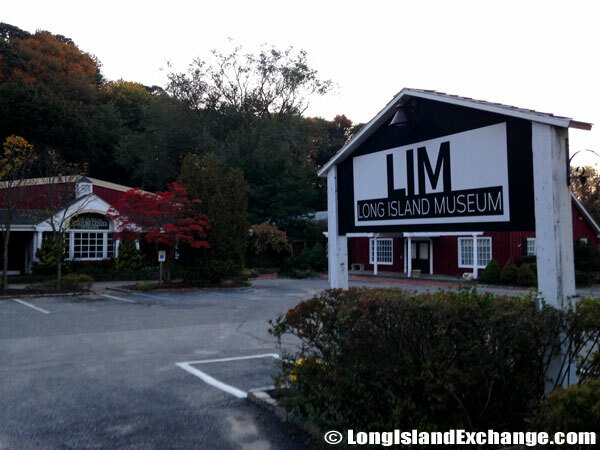 The Long Island Museum of American Art, History, and Carriages, informally known as the Long Island Museum, an open air museum founded in 1939. The mill is certainly essential to Stony Brook’s past because it marks a watershed and a big help to farm produce. In addition, the Carriage Museum is known as one of the largest of its type in America. This unique collection presents a broad scope of two and four-wheeled vehicles. Elegant carriages and coaches, manufactured by widely recognized companies such as The Brewster Company of New York and Rochester’s James Cunningham Company, are well represented at the Carriage Museum. 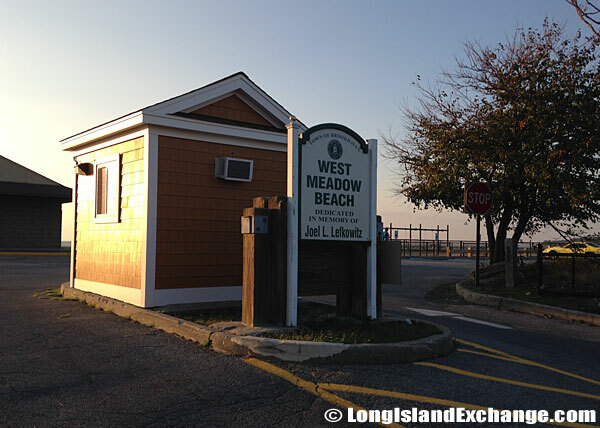 West Meadow Beach was dedicated in memory of Joel L. Lefkowitz. 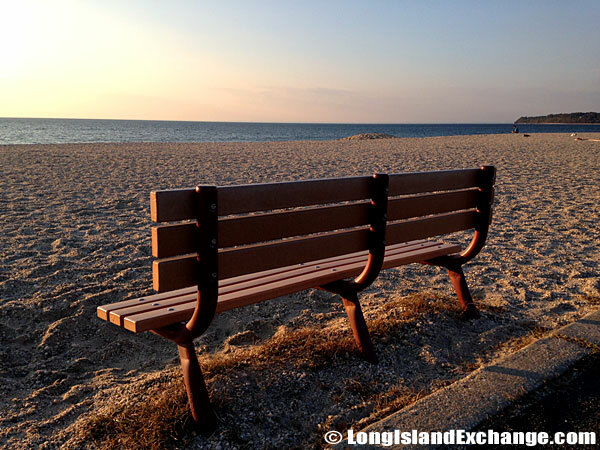 Joel L. Lefkowitz Park at West Meadow Beach. 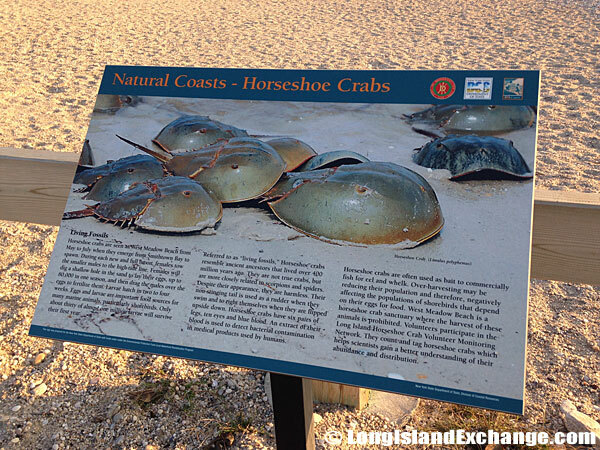 Signs describe the areas surrounding including wildlife and sea animals at West Meadow Beach. 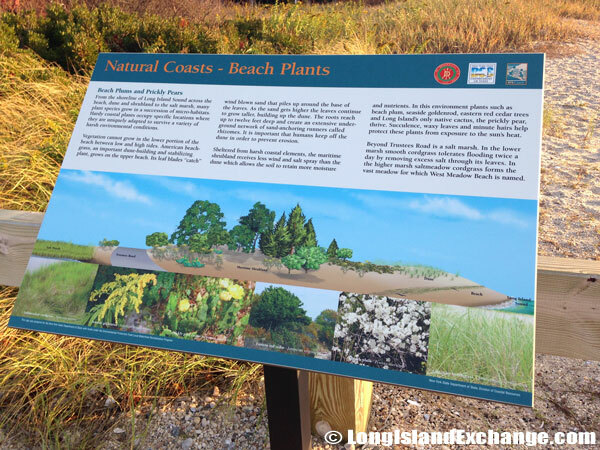 Signs describe the areas surrounding including plants and vegetation at West Meadow Beach. 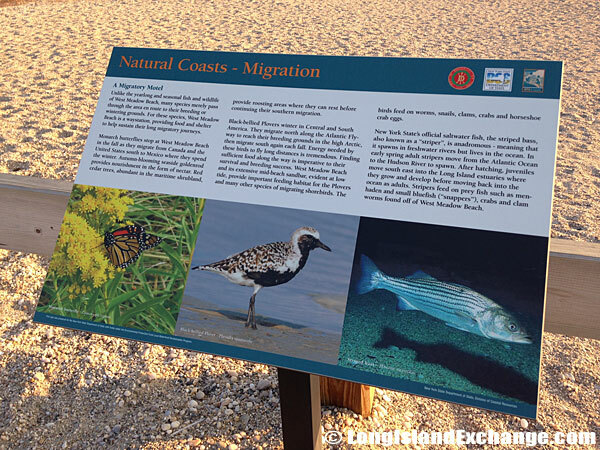 Signs describe the areas surroundings including wildlife and migrating birds at West Meadow Beach. 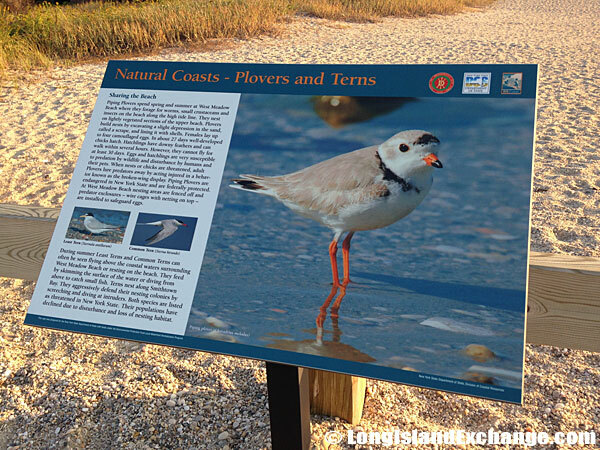 Signs describe the areas surroundings including Natural Coasts, Plovers and Terns at West Meadow Beach.